Billtown Farms is an adorable neighborhood in Louisville located off Billtown Road in Jeffersontown. Construction of Billtown Farms began in the early 2000s by Dominion Homes. Prices of Billtown Farms homes range from $165,000 to $265,000. The Hollinden Team updates this search for Billtown Farms houses on a daily basis from the Louisville MLS. 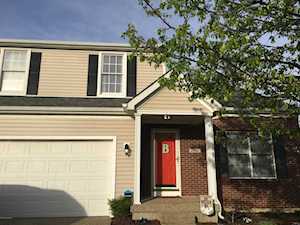 The Hollinden Team has helped many buyers and sellers purchase or sell a home in Jeffersontown. Check out the Hollinden Team's reviews. Click the map on the left to view each home for sale in Billtown Farms. There is a satellite view button in upper right. Above grade square footage of Billtown Farms homes typically range from 1,600 square feet to 2,600 square feet. Many of Billtown Farms homes have two stories, two car attached garages, and a basement. You can usually find between three to four bedrooms and two to three bathrooms in Billtown Farms houses. Most of the homes in Billtown Farms are brick and vinyl. Because Billtown Farms is a fairly newer neighborhood, you will often find homes that have many modern day updates. Many of the homes in Billtown Farms have open floor plans, vaulted ceilings, and updated bathrooms and kitchens. For grocery shopping, there is a Walmart within a few minutes of Billtown Farms located at 3800 Ruckriegel Pkwy. If you prefer Kroger, you can find your closest Kroger at 9080 Taylorsville Rd. You will never run out of restaurants to try close by Billtown Farms. A few of the popular restaurants near Billtown Farms are Johnny Vs, Mussel & Burger Bar, FDKY BBQ, Cena Italian Trattoria, Chubby Ray's Pizza Co, Charr'd Bourbon Kitchen & Lounge, and Cracker Barrel Old Country Store. Specifically Mussel & Burger Bar are especially popular amongst people in the area. Mussel & Burger Bar is known for their unique types of hamburgers and fresh ingredients. Billtown Farms is within close proximity to large shopping centers and malls. Oxmoor Mall, Saint Matthews Mall, and Middletown Commons are all within about twenty minutes from Billtown Farms. The Paddock Shops is around 25 minutes away. If you enjoy golf, Charlie Vettiner Golf Course is a close golf course to Billtown Farms. Charlie Vettiner Golf Course is a public 18-hole golf course. Charlie Vettiner has been ranked the 7th most challenging golf course in Kentucky. Billtown Farms is within the Jefferson County School District. A few of the schools near Billtown Farms are Cochrane Elementary, Jeffersontown Elementary, Robert Tully Elementary, Ramsey Middle, Carrithers Middle, and Jeffersontown High. There are also a few private schools near Billtown Farms as well. Saint Edwards and The Academy for Individual Excellence are two of the private schools located in the same zip code as Billtown Farms. If you would like to learn more or have any questions about any of these Billtown Farms houses for sale, or others in the zip code 40299, just click the "Request More Information" button on any property detail page. The Hollinden Team can provide you with past sale information, comparables, disclosures, PVA assessment, and tax information – we would love to answer any real estate questions you have.